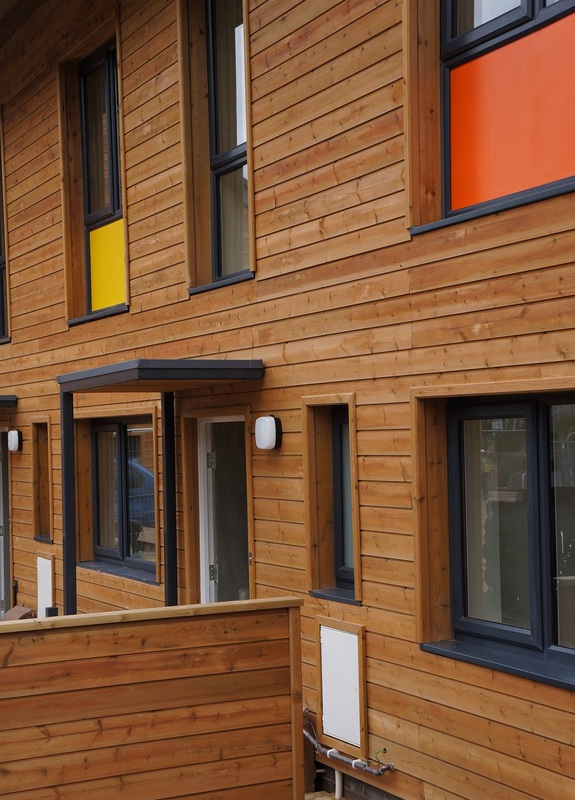 Unsorted grade has been used across the properties, both over the individual dwellings, and on the 3 story apartment blocks. 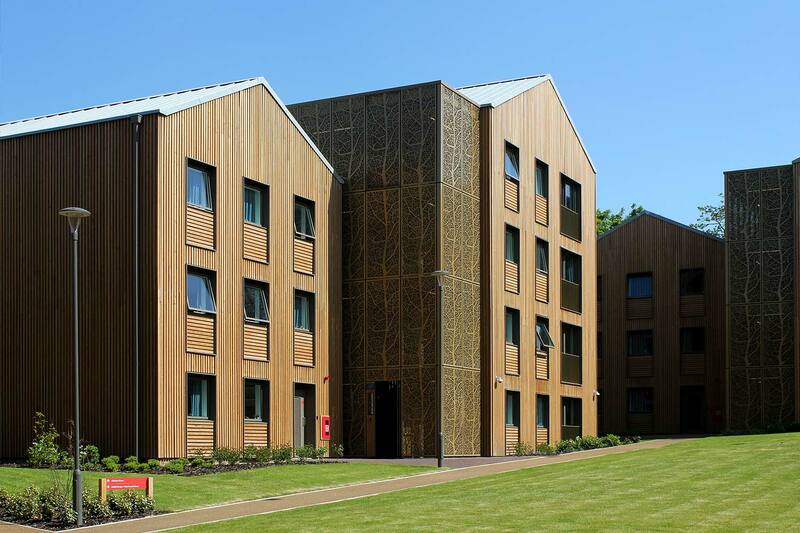 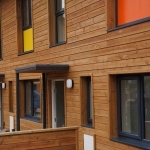 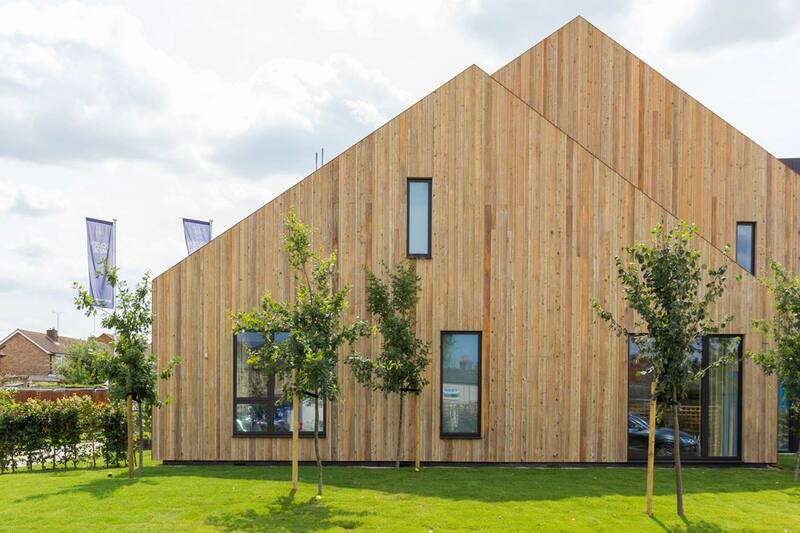 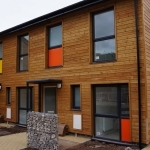 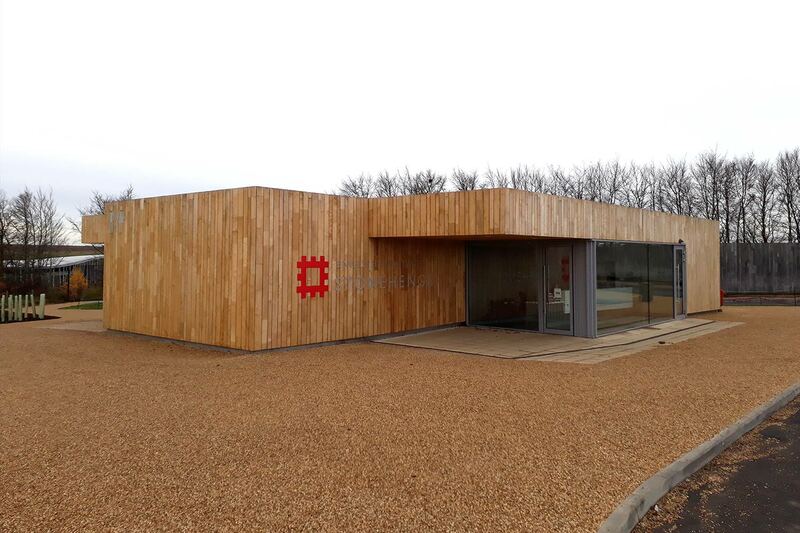 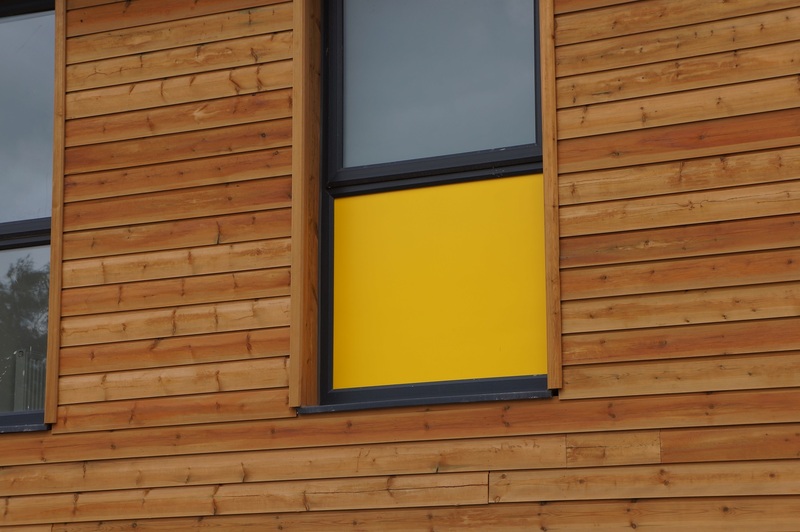 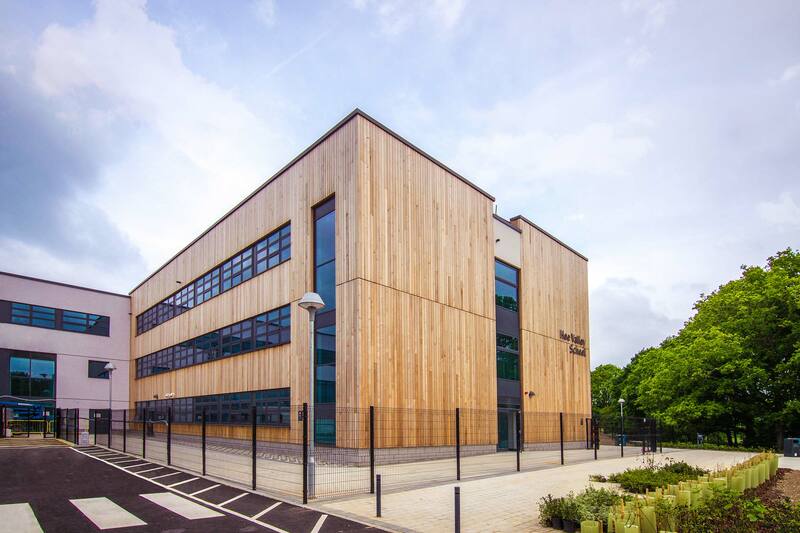 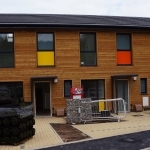 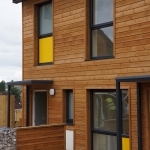 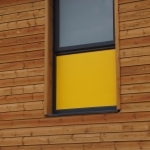 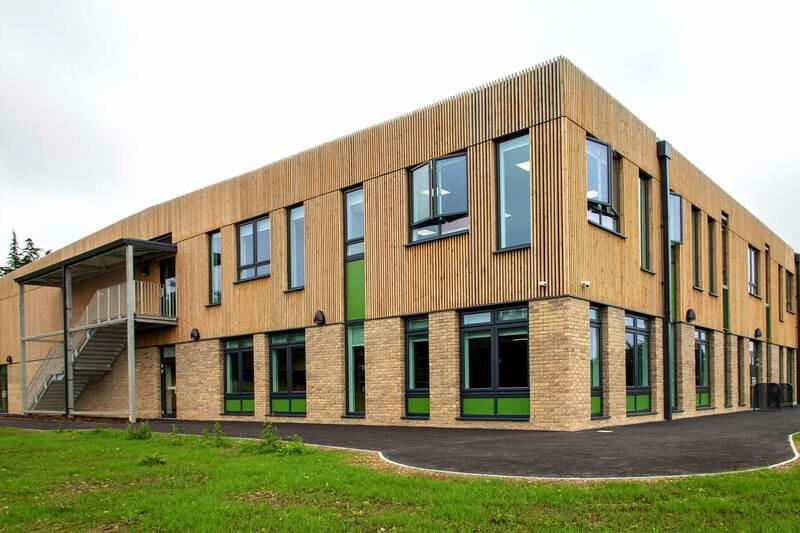 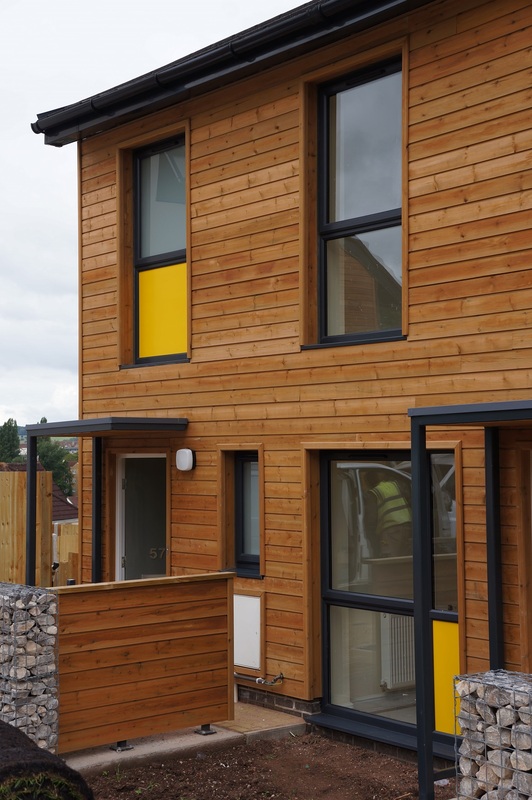 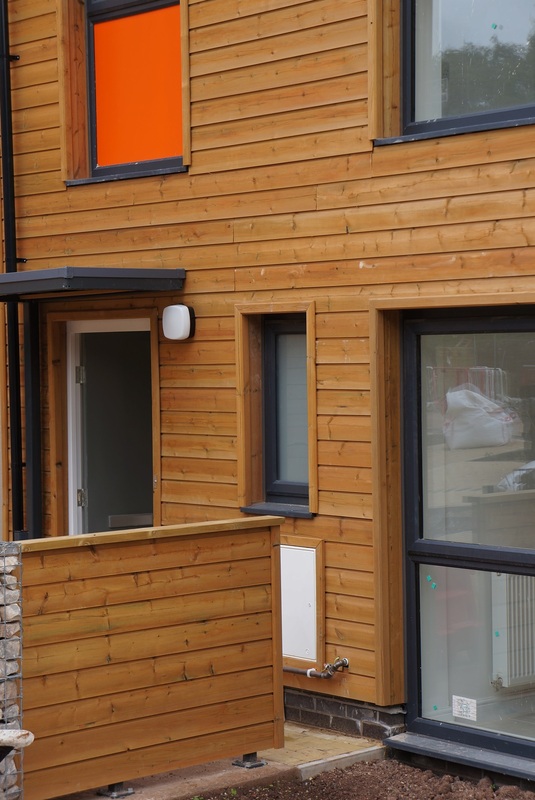 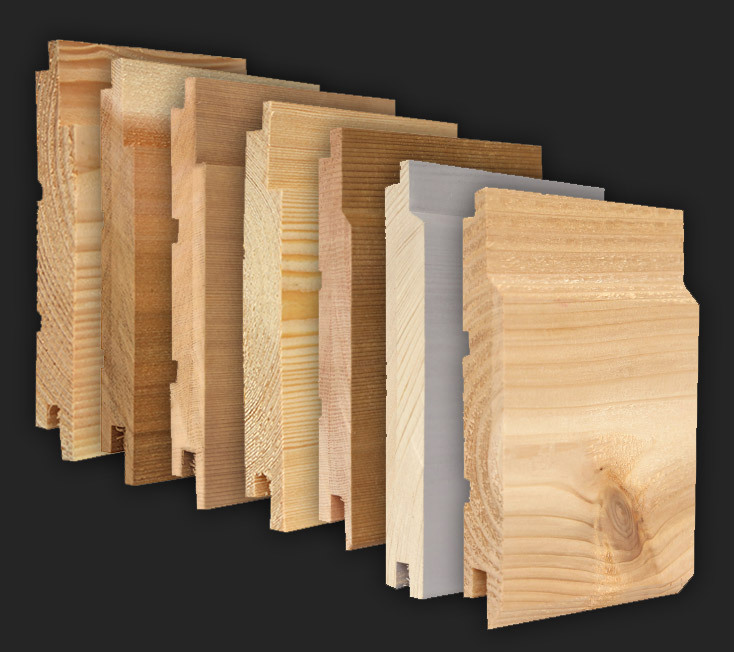 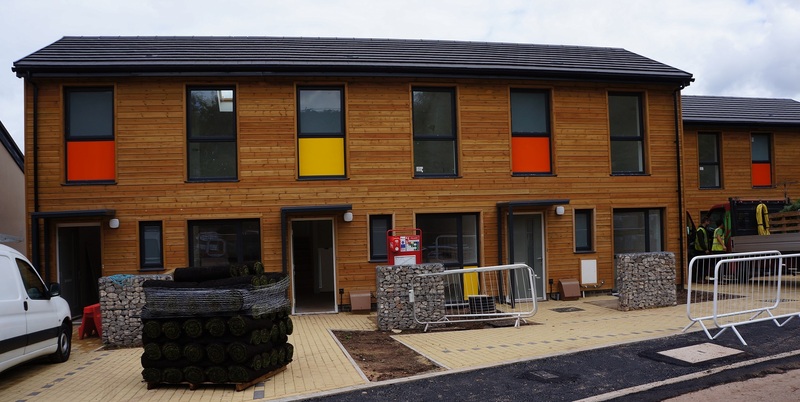 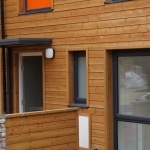 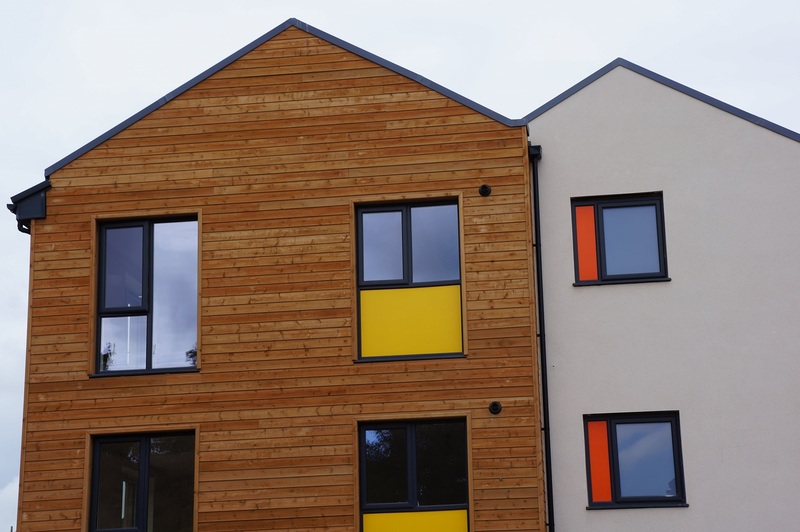 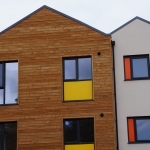 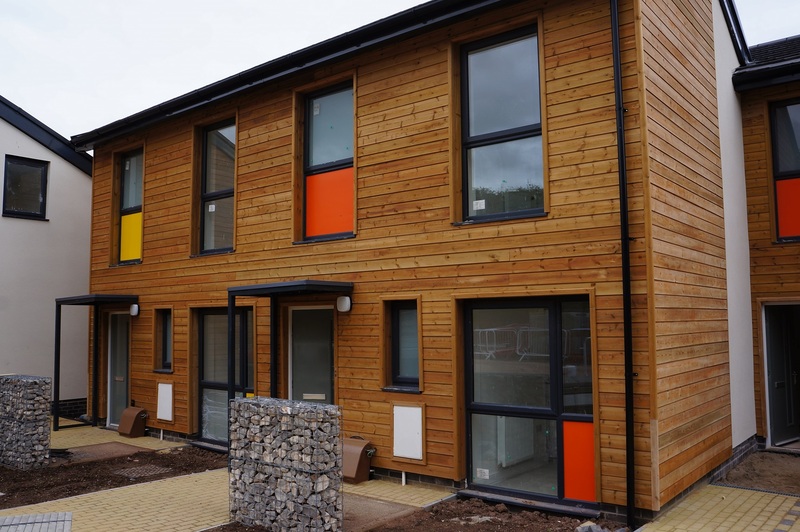 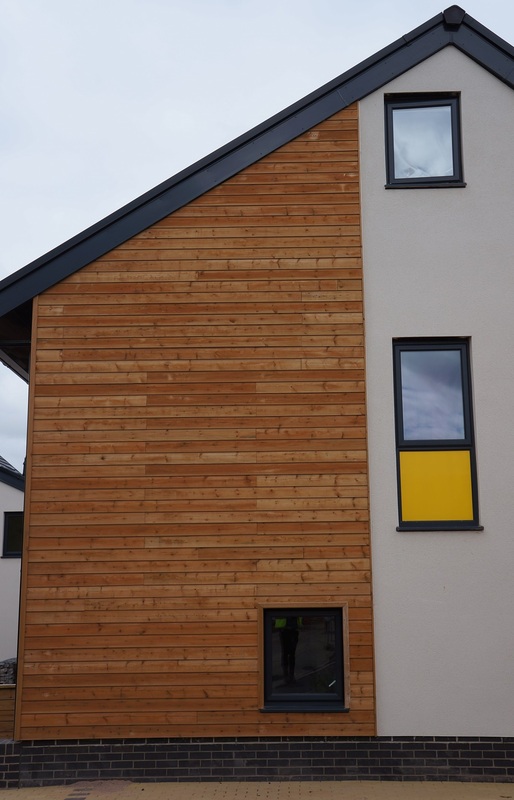 We also supplied some of the timber cladding pre-treated with HR Prof, a fire treatment that meets Class O, or Euro Class B ‘Spread of Flame’ – this is all pre-coated at our manufacturing plant, clearly packaged separately from the standard cladding to allow ease of installation and identification on site. 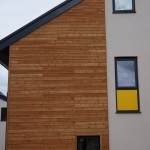 Profiles: The project uses our standard Ex 25 x 150mm NWC2 profile primarily, with a selection of corner profiles, and PSE boards also being supplied for the details.